At Partnership With Native Americans, our dream — the dream we work passionately towards every day — is for stronger, self-sufficient Native American communities. 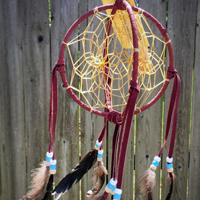 From April through September of 2018, we gave away six beautiful American Indian dreamcatchers. Each of these pieces was lovingly hand-made by Native American artists whose tribes we support. 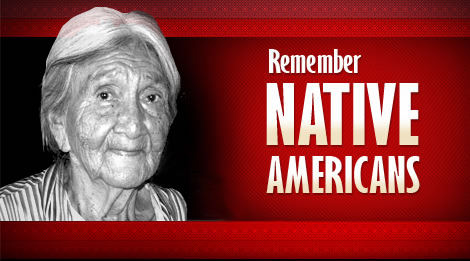 By entering and sharing eCards, you spread the word about our nation's forgotten population: Native Americans. Thank you! Please take a moment to help shape our next giveaway. 1. If you would like to be contacted for comments, please complete the following fields. 2. Question - Not Required - Did the dreamcatchers in this giveaway appeal to you? 3. Question - Not Required - Would you like a different giveaway next time? 4. Question - Not Required - If you would prefer something different, what would that be? 5. Question - Not Required - Would you like to be notified of new winners and/or offerings more often, less often, or the same amount? 6. Question - Not Required - Other than giveaways, what else would be an exciting way to spread the word? 7. Question - Not Required - How do you prefer to tell others about giveaways? *8. Question - Required - Please enter the letters as shown. This authentic, handmade dreamcatcher is from the Navajo tribe. Measuring 6 inches in diameter, the unique 3-dimensional piece is wrapped in soft deerskin leather. It also showcases vibrant, beaded prayer feathers on leather straps.